Halong Bay, Nha Trang, Da Lat, Da Nang and Hoi An… are the names in the list of Top destinations you cannot miss when traveling to Vietnam. Those are reviewed and voted by many international tourists. 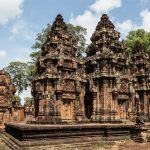 Not only owning the rich natural beauty, these destinations also preserve the unique ethnic culture thanks to their long histories. Let’s check out the 10 names on the following list! Owing to a temperature of less than 10 degrees Celsius in the winter, Sapa will be the first stop that visitors should enjoy. In Sapa, visitors not only feel the cold weather, and enjoy the snow season embracing the forests around here but also immerse themselves in the picturesque scenery. 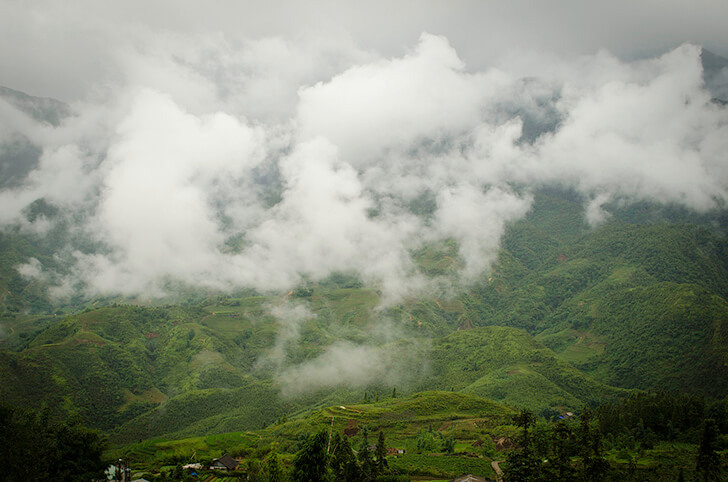 Sapa is located deeply in the mountains, surrounded by pine trees straight into the sky. It's a great feeling to discover the mountainous markets and get into the traditional music of ethnic minority people. Visiting Sapa, you can admire the beauty of the unique and charming image of the mountains hugged by floating dreamy clouds. Hanoi in the autumn owns the featured spirit of an ancient city standing between the ups and downs of life. The special aroma of milky flowers will be an exciting thing that you cannot forget. In addition, if you have the opportunity of traveling to Hanoi, you should spend your time to visit the tourist destinations such as Hoan Kiem Lake, Long Bien Bridge, the Old Quarter, Temple of Literature, Ho Chi Minh Mausoleum. Besides, you can try a habit of Hanoians - enjoying a cup of coffee in the early morning on the sidewalk with many passersby. The misty city or the city of thousand flowers is what you can feel about Da Lat. Characterized by the natural beauty and the novelty in the natural scenery, Da Lat will bring you a very special sense of the image of a city filled with many colorful flowers. Traveling to Da Lat, you can rent your own bicycles to travel around the city such as Xuan Huong Lake, Flower Park, Hang Nga Villa, Langbiang Mountain, Chicken Church, Elephant Fall, the Valley of Love, and Strawberry Garden. 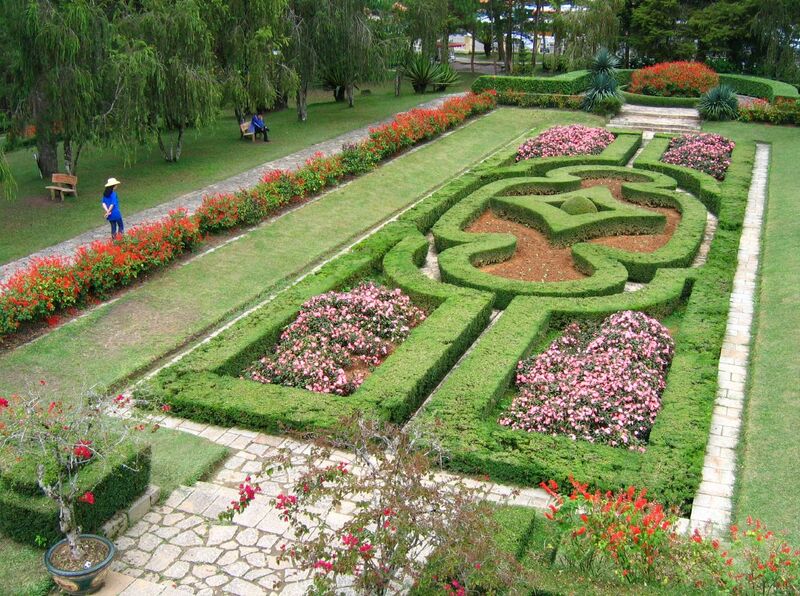 Da Lat with romantic and lyrical beauty will bring you the most wonderful emotions inspired by its nature and scenery. 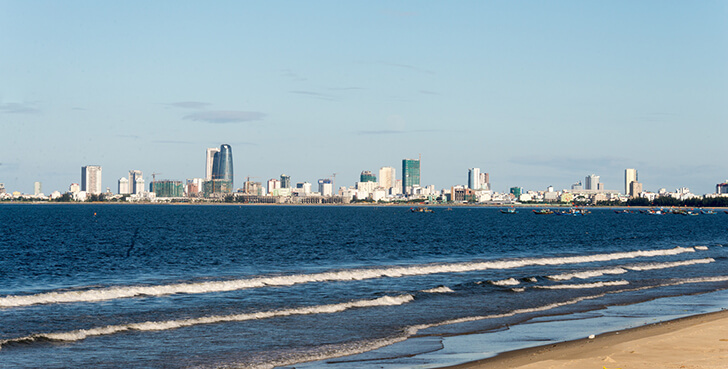 Being recognized by TripAdvisor as one of the most worthy traveling destinations in 2015, Da Nang is considered as one of the top places that is definitely worth a visit. 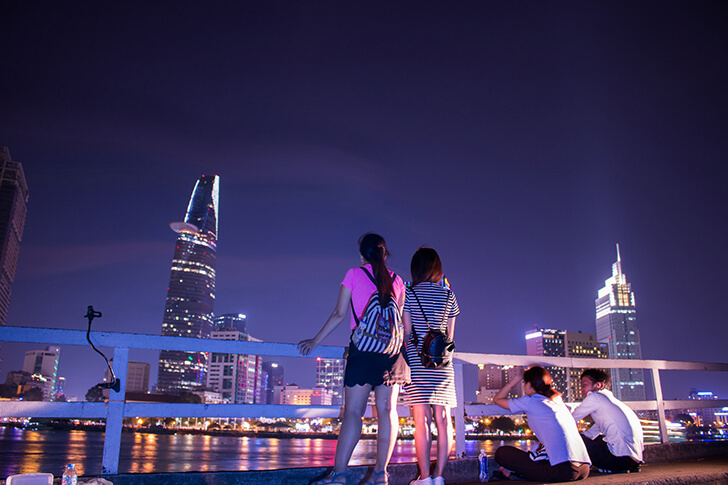 Not only owning the beautiful natural scenery but Danang also gives visitors the very different aspects of the city that combines harmoniously two characterized features: classic and modern, gentle and vibrant. The destinations that you should not miss when traveling to Da Nang are Asian Park, Ham Rong Bridge, Ba Na Hill, Da Nang’s Beaches and Waterfalls. Anyone who has ever come to Ba Na Hill will feel that Nha Trang will be a more complete and colorful version of Ba Na. Many people often say that: If you go to Nha Trang first, Ba Na Hill is just a brother carrying the old version. However if you come to Ba Na before visiting Nha Trang, it will improve the shortcomings of Ba Na by the features of Da Nang. 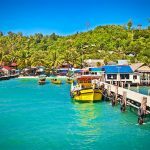 The most prominent tourist spots in Nha Trang are Vinpearland - the most modern entertainment area, Nha Trang beach, Mieu Island, Tam Island, Dam pagoda, Western Quarter and Ba Town. Not far from Da Nang city center, Hoi An is considered as the most desirable city that anyone would like to visit. Hoi An itself is the image of the streets with colorful lanterns, the romantic Hoai River and the peaceful life of the local people here. 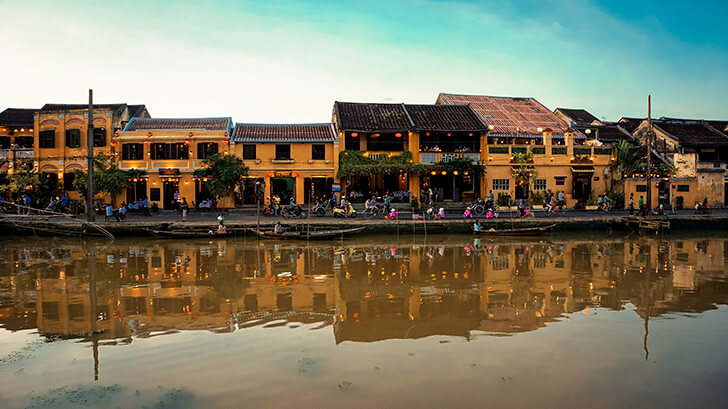 Hoi An will bring you the most gentle feeling and the excitement when discovering the ancient Western and Asian architecture such as Japanese Bridge and the ancient houses or joining the Flower garlands and colored lanterns festival on the river. Along with the diverse gastronomy, you will feel the open space with many popular dishes such as Cao Lau, chicken rice or Sweet tofu pudding. Referring to the West region or Mekong Delta, the first thing that makes visitors impressed is the floating markets. In this region, people consider the flood as their best friend. Therefore, when traveling in the West, the tourist will experience the daily life on the river like a local: shopping and having meals on water. In addition to participating in unique markets, visitors should also participate in many interesting activities such as collecting fruits, discovering the coconut forest, going fishing in the marshes. 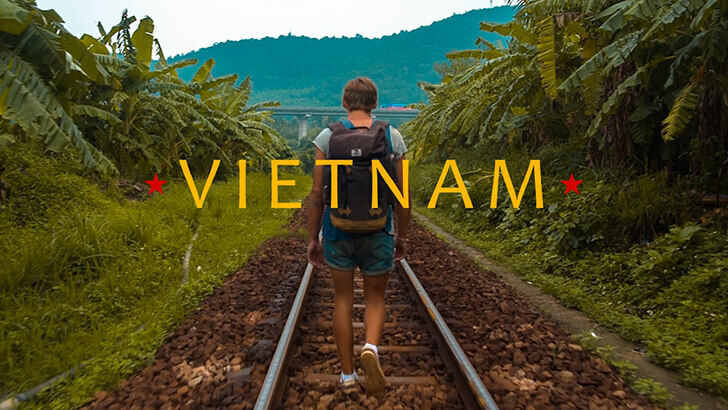 These experiences in here will make you never forget Mekong Delta – a peaceful land. If Hanoi or Hoi An has a gentle and quiet beauty, Saigon owns a young and vibrant one. Saigon will make you feel bustle and excited with the modern Western Streets, the colorful Nguyen Hue flower street, the culinary streets and the unique fashion streets near the area of Ben Thanh Market or Notre Dame Cathedral. Hue is gentle and ancient like the Hue girls. Coming to Hue, travelers can visit the Purple Forbidden City, explore the beauty of the Perfume River and enjoy the traditional Ca Tru singing. Besides, the tourists also have the opportunity to enjoy the royal meal, visit the ancient pagodas which were formed and developed thousands of years ago, and stopover some famous tourist attractions in Hue such as Hue High School for the Gifted, Ngu Binh Mountain, Vong Canh Hill, and Perfume River. 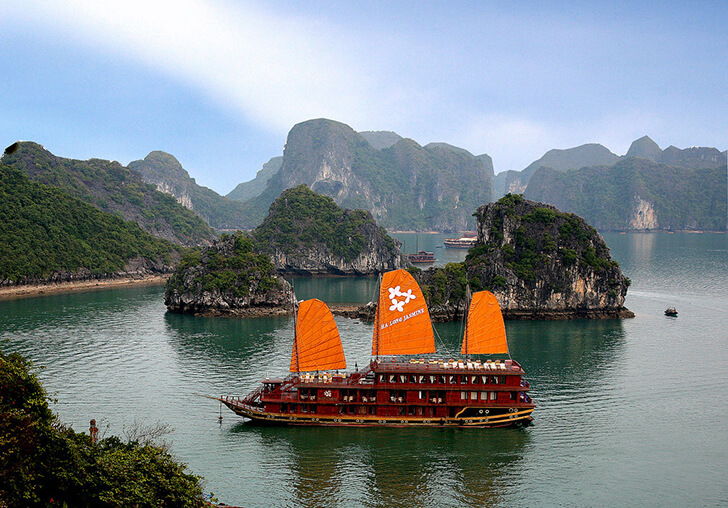 The World natural wonder that tourists cannot ignore in Vietnam is Halong Bay, overcoming many competitors to reach the top 7 natural wonders of the world. Halong has a beautiful image of the natural masterpiece. I hope that the above suggestions will be useful for your trip in Vietnam. Have a nice trip!